The Village of Brookfield is located in three state representative districts and one state senate district. However, a resident only has one state representative and one state senator who represents them in the General Assembly. The district maps are created by the majority party in the Illinois General Assembly every 10 years. The majority of the village is located in the 23rd district and all of the village is located in the 12th senate district. Below lists Brookfield’s state legislators as well as their district maps. 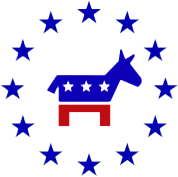 If you are still uncertain of your state and county legislators, you can verify by clicking here. To learn more about your village representatives, click here. To learn more about your county representatives, click here. To learn more about city government, click here. For other inquiries, contact us.